Bottom Line: A Thai noodle shop of a wine. 90 • Weinwurm’s 2012 Reserve, Zweigelt, Niederösterreich 13.5% (Austria) $13.70. 87 • Weinwurm’s 2015 Reserve, Weissburgunder, Niederösterreich 13.5% (Austria) $15.50. 93 • Weinwurm’s 2015 Ausbruch, Weissburgunder, Weinviertel 9% (Austria) $20.60. 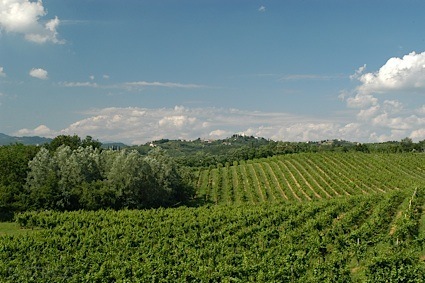 Pinot Blanc is a white wine, made from the eponymous grape; top examples are produced in California, France and Germany. Sometimes referred to as a "poor man's Chardonnay," Pinot Blanc has flavors of apple and pear and is quite dry; some are made in steel tanks, while more full-bodied versions are aged in oak. Enjoy these wines upon release and over their first three to five years; pair them with most seafood or lighter poultry dishes. 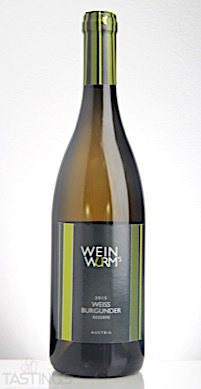 Weinwurm’s 2015 Reserve, Weissburgunder, Niederösterreich rating was calculated by tastings.com to be 87 points out of 100 on 8/17/2017. Please note that MSRP may have changed since the date of our review.